Gin Lemon is such a classic, evergreen cocktail. When I first ventured into the cocktail world, gin was the only booze I could handle without having a super bad headache the next day. Many years *and bottles of gin* later, I refined my love for this spirit, and stepped slightly forward from the classic gin & lemon combo, and that’s when this Gin Lemon with Thyme and Basil was born. 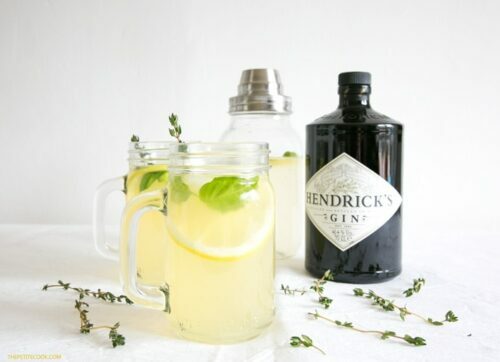 The bright and tangy mix of gin, lemon and aromatic herbs thyme and basil, combine all together to make such a refreshing drink that is perfect all-year round. I know we’re slowly getting through the cold season and perhaps Mulled Wine would be more appropriate. But I still crave summery refreshing cocktails every now and then ( even thought right now is snowing outside! 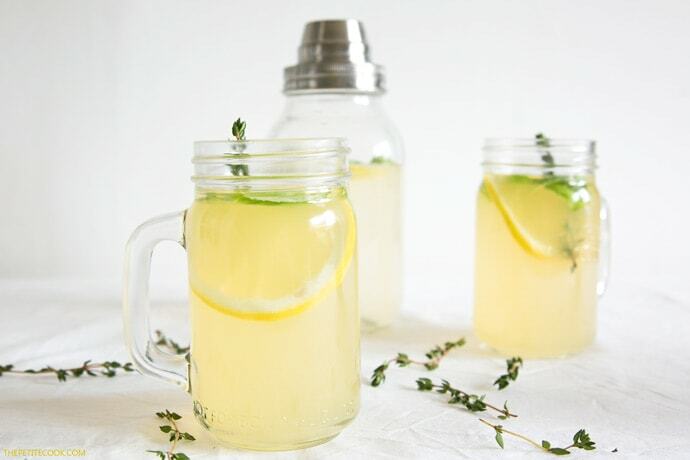 ), and this Gin Lemon with Thyme and Basil is always a favorite choice. The best part is, you don’t need to be a fancy barman or mixologist to put it together, all you need is 4 simple ingredients, and it comes together in a snap! 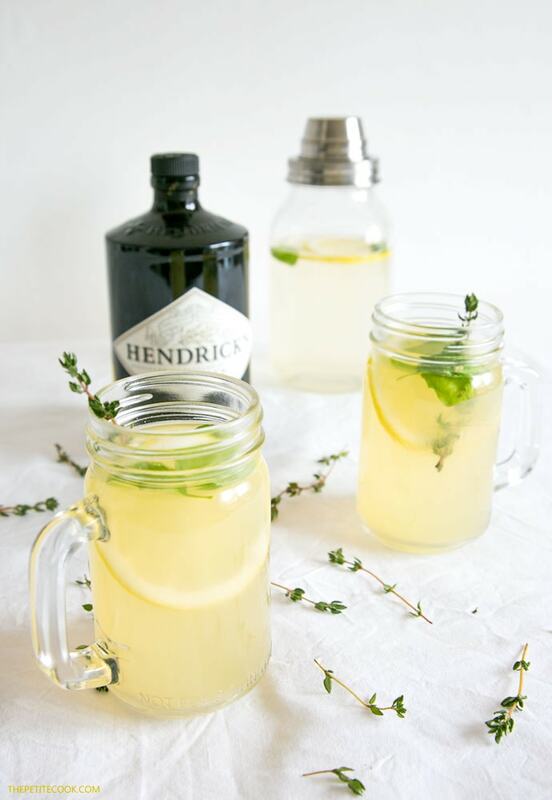 So next weekend, forget about the cold weather out there, and cheer on this delicately aromatic thirst-quenching Gin Lemon with Thyme and Basil – You’ll love every sip of it! A bright and tangy mix of gin, lemon and aromatic herbs, combine all together to make this refreshing Gin Lemon that is perfect all-year round. Pour gin and lemonade into a large tumbler filled with ice cubes. Fold in thyme sprigs and basil leaves slightly teared. Gently stir all the ingredients together, add a slice or two of lemon, and serve immediately. Looking over your recipe you say 2/3 basil leaves. What is the measurement for this? 2/3 cup or what? I too enjoy gin without headaches or worse. This looks like a good drink that I would like to try from my usual gin & tonic. Thanks.